Musician, liberation struggle activist and volunteer. Basil Coetzee ( ‘Ou B’ or 'Manenberg' as he was affectionately known) was born in District Six, Cape Town, on 2 February 1944. He grew up in the area, and as a teenager showed keen interest in music. This was aided by the vibrant music scene in District Six. Coetzee’s first instrument was the penny-whistle which he learnt to play, and he began using it for performances around the township in 1958. He then turned his attention to drums, and later the flute. Coetzee finally settled for the tenor saxophone, an instrument that became intimately associated with his music. In using all the above said musical instruments, Coetzee was self-taught. After District Six was declared a White area under the Group Areas Act, forced removals that followed seriously disrupted the vibrant music culture of the area. His family were forcibly removed from District Six to Manenberg in 1969. Consequently, Coetzee was forced to play his music part time while working at a factory in the 1970s and the 1980s to earn a living. Thus, while District was the foundation of his musical career, it was in Mitchells Plain that he emerged as a cultural icon. He along with other musicians forged a new and unique identity of South African jazz in the 1960s and 1970s. Coetzee played jazz which mixed imported hard bop style of contemporary jazz from the USA with the vibrant Marabi and Kwela dance rhythms of the South African townships. It was this blend that gave South African jazz much of its distinctive sound and lilting boastfulness. It was precisely this assertion that the Apartheid government detested. Consequently, musicians faced state sanctioned repression. The persecution of musicians led to the exodus to exile of several leading Jazz artists in the 1970s and the removal of their Jazz music from the South African radio stations. For instance, Hugh Masakela, Abdullah Ibrahim (formerly Dollar Brand), Chris MacGregor, Dudu Pukwana, Johnny Dyani, and Louis Moholo left the country and established themselves as leading Jazz artists outside the country. However, Coetzee chose to stay and continue to play his music in South Africa. Coetzee’s music was also inspired by prevailing condition of people under apartheid and forced removals. He first recorded in 1974 with Abdullah Ibrahim on a historic album entitled Manenberg – “Where It's Happening”. The album became popular in South Africa and resonated well particularly with the liberation movement. The clampdown on Jazz by the government made it difficult for Coetzee to continue work in the craft he loved. However, in the 1980s political developments in the country brought Coetzee back to the music scene. He was featured several times at concerts and rallies organised by the United Democratic Front (UDF). For instance, in 1983 he played alongside Paul Abrahams at the launch of the UDF in Rocklands in Mitchell’s Plain. In 1986, he formed Sabenza, with bassist Paul Abrahams, guitarist James Kibby, and drummer Vic Higgins, which remained his regular band for a greater part of his life. The following year in 1987 his group Sabenza performed at Culture in Another South Africa (CASA). This was an anti-apartheid festival hosted by the African National Congress (ANC) and the Dutch Government in Amsterdam. There Coetzee met exiled South African Jazz musicians like Jonas Gwangwa, Dudu Pukwana and Russel Herman. In 1988 he toured Europe and began to record again. He released two albums Sabenza and Monwabisi under Mountain Records label. He performed regularly with Abdullah Ibrahim in the pianist's range of ensembles after his return to South Africa at home and on tour. In the late 1980s Coetzee became a founding-member of Cape Town Musical Action for Peoples Power (MAPP) a music school in Cape Town. 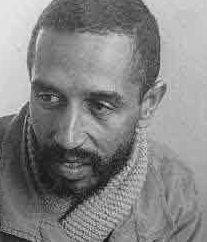 Coetzee died of lung cancer in 12 March 1998, in Cape Town, Mitchells Plain. He is survived by his wife Mary, five children and six grandchildren. At his funeral Abdullah Ibrahim announced plans for the establishment of a Basil Manenberg Coetzee Music Academy in honour of Basil Coetzee contribution to the music industry in South Africa. • Steve Gordon. Basil Manenberg Coetzee: A Struggle Biography. [online], Available at www.music.org.za [Accessed: 05 December 2012].